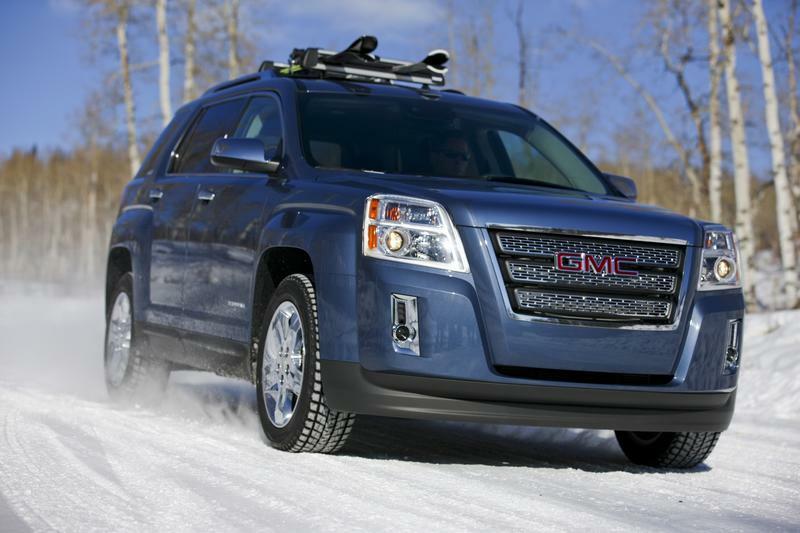 GMC invited me out to Steamboat Springs, Colorado to take part in a winter driving class. Driving 2011 GMC Terrains, our task was to learn how to cope with snow covered roads while climbing 1,000 vertical feet near the Rockies. I gave my driving instructor Gary Osteen quite a challenge, but in the end, I took away some highly valuable techniques that will certainly come in handy during New England’s impending frosty hell. Gary was quick to point out that I was way too tense on the steering wheel and my steering inputs had a tendency to be “fast and crazy.” When I loosened up on the wheel and provided light steering inputs, I was actually able to control the vehicle while it was sliding on snow and ice. The GMC Terrain’s ABS and StabiliTrak systems allowed me to actually steer while sliding, and that’s something I wasn’t used to in my Nissan Frontier. The GMC Terrain also had a few nifty technologies that made it even safer on bare asphalt as well. First off, the Terrain had Forward Collision Alert, which flashed a red light on the console to alert the driver of a car ahead of them. This only happened over 25MPH. If we started tailgating a car in front of us, the red alert light would start blinking and beeping. Finally, if a crash was imminent, the car would charge the brakes to prepare for the collision. Secondly, the GMC Terrain had a Lane Departure warning. The car would beep if it detected that the vehicle had begun to drift over the double yellow line or into a ditch. Both the Forward Collision alert and Lane Departure warnings operated via a 14-frame-per-second camera mounted to the front windshield that was trained to detect objects outside of the driving path. Overall, it was a great trip and the GMC Terrain handled unbelievably on the snow-crested roads of the Steamboat Springs countryside. I hope the video helped to improve your winter driving techniques!